Just starting out on the ukulele? 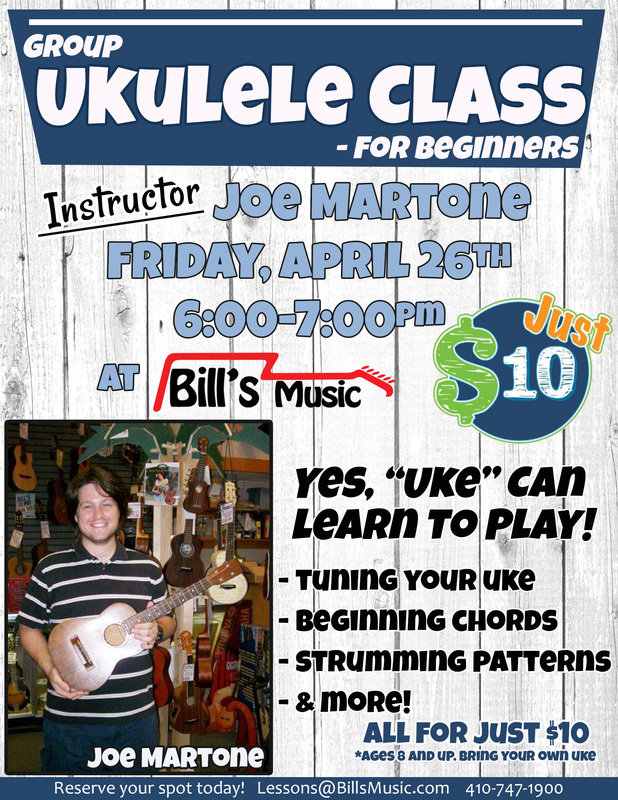 This group class taught by Bill's Music instructor Joe Martone is for you! Students will have a fun time in a group setting learning the fundamentals of playing the ukulele including tuning your uke, basic notes and chords, strumming patterns and more! 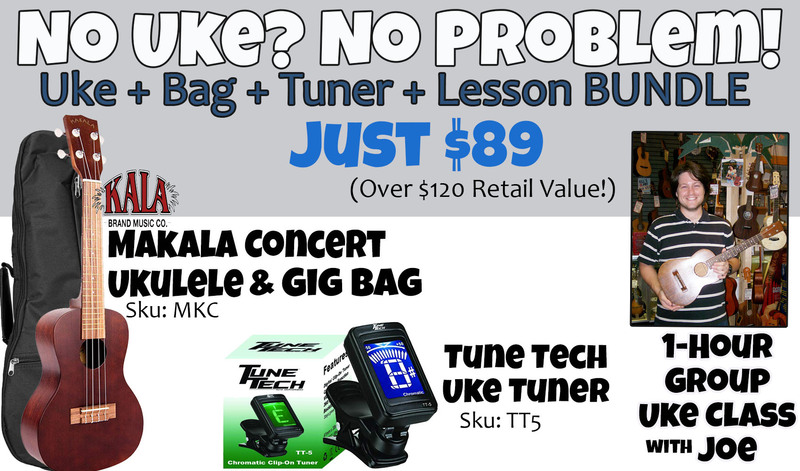 Bring your own uke and a tuner (if you have one). This class is for students age 8 and up. Sign up online or call our lessons desk at 410-747-1900 to reserve your spot by phone. Class reservations are non-refundable.